Music composition is an invaluable facet of advertising. Whether you’re an entrepreneur looking to develop a viral jingle that can become synonymous with your product, a household brand looking for a catchy beat to make your website stand out or a broadcaster in need of something to fill dead air, the value of a well-placed piece of music can’t be overstated. Stock music or original songs? Music composition shouldn’t be an afterthought in your content. While visual content can be powerful, it is so often music that brings a message home. Full service music production is a craft that your brand deserves. Stock music might do it for certain content, but generic-sounding music doesn’t give audiences the same memorable experience that an original score, original lyrics or an original composition does. Would “Jaws” and “Star Wars” have the same impact on audiences without their iconic theme songs? There’s no denying that music plays a big role in audience engagement, but finding the right composer or finding fully licensed music for your film, broadcast, podcast, commercial or social media content can be daunting. 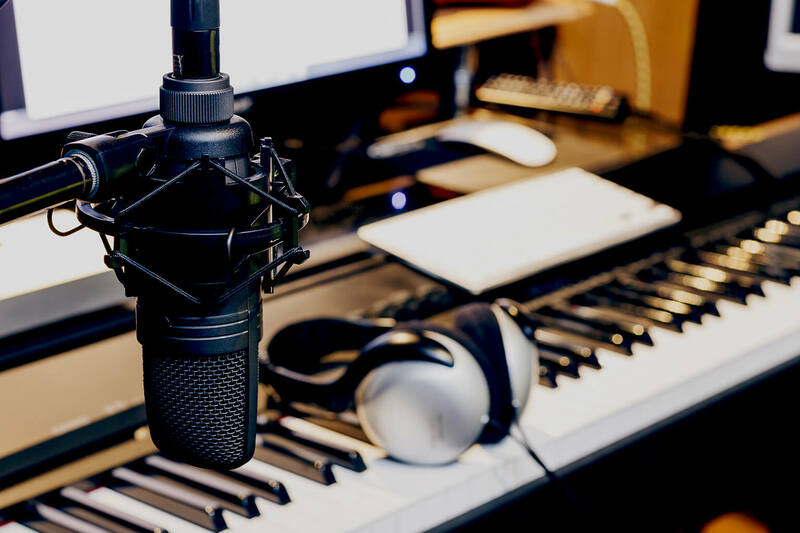 Let our music production team capture the feel of your brand in quality recordings to evoke a deep response and connection from the audiences you want to reach. Our composers are global and local. At CreativeDrive, we have gifted music composers all over the world who can amplify your content by helping you find the sound that belongs to you. Our talented composers often work with filmmakers, media agencies and others to arrive at the core essence of their brands and to convey those brand qualities through sound. We listen to your ideas. We believe in the power of co-creation. Our composers and lyricists write music for ads, film, radio, TV and websites. Your satisfaction and success is important to us, so we work closely with you and your team to get a sense of the sound, style, and mood you’re attempting to capture. Once we’ve got that down, then we figure out the best way to convey your unique vibe to the people you want to reach. Your ideas are essential to our creative process. We begin by watching a sample of your media. This can include ads, podcasts, videos intended for online viewing and film as well as other musical artists that inspire you. Next, our creative music composers will ideate with you and your team to capture your brand’s essence and translate your product or service into an infectious earworm that will resonate with your target listeners long after they’ve heard it. Need amazing, original music to connect with your target audiences? Contact us via the form below and let us show you how we can exceed your expectations on your next music project.